It’s a familiar element of some games: If you play for a long stretch, you get some sort of special boost or reward. For instance, you can get a daily bonus for a streak in Pokémon GO. There’s also a special bonus when you play a long sequence of notes correctly in Rock Band. And some casino games have an increased payout as you keep playing. 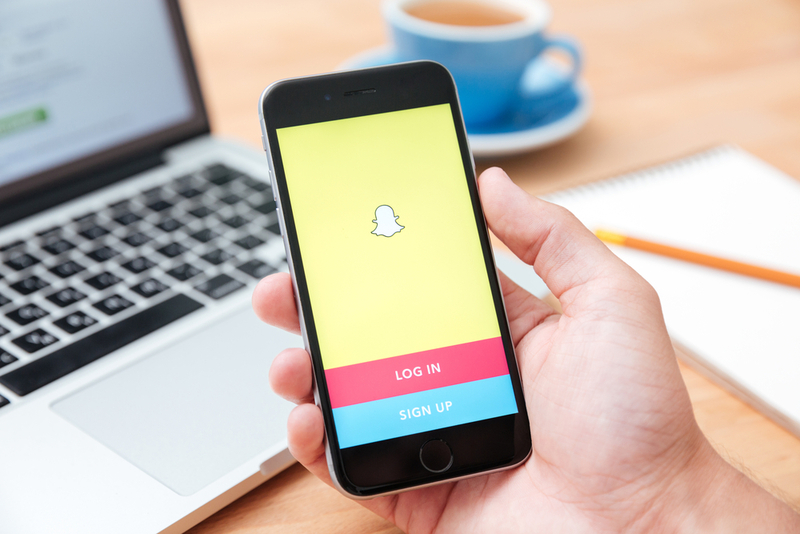 That type of game play element is moving into the way we communicate, in the form of features like Snapchat’s “streaks,” which reward people who carry on Snapchat exchanges over a series of days. Game designer Margaret Wallace, CEO of the company Playmatics, says that while features like “streaks” are a tried and true method for increasing engagement and can enhance social bonding, they also have the potential to create unhealthy habits, with some people responding in repetitive, obligatory ways just to keep a streak alive. Margaret Wallace is CEO of Playmatics, a game development company with offices in Brooklyn, New York & San Francisco, California. MANOUSH ZOMORODI: OK, now it is time to play Good Thing, Bad Thing. Because every story has a flip side. So it’s a familiar element of some games, the longer you consistently play, the bigger boost you’re going to get. There’s that increasing pay out of some casino games, the daily boost in Pokemon Go, or the extra fire arc icons that appear when you hit a long string of notes correctly in Rock Band. That type of game element is moving into the way we communicate too. With features like Snapchat’s Streaks, this is a rule of reward for keeping up a Snapchat exchange with a special someone over a series of days. And here to talk about the good and bad of gamifying communications is Margaret Wallace. She’s CEO of Playmatics, a game development company based in Brooklyn and San Francisco. Welcome back to Science Friday, Margaret. MARGARET WALLACE: Thank you so much for having me. It’s great to be here. MANOUSH ZOMORODI: So, OK, tell us. What is good about these gameplay features in communication apps like Snapchat? That is actually what my episode on the podcast is about this week. MARGARET WALLACE: Well, that’s a great choice because as you well know, Snapchat is really a banner service and application around these kinds of design elements. And so for one, adding these very rote gamification elements is good for companies like Snapchat because it really enhances and amplifies community interactions that really strengthen their platform. But on the other hand, another good thing is that it also helps players, or users, potentially better articulate or understand how they relate to the world. It’s just one way that designers show users what their actions may imply, or even frequency. Even having that kind of feedback is really important, I think, for players, or users, to understand and put their actions into context. MANOUSH ZOMORODI: And it’s fun, right? But what is potentially bad here? MARGARET WALLACE: Well, I always think of that episode from Black Mirror called Nosedive, which is basically about a future world, not too far off in our future perhaps, where everything in a person’s life is dominated by how they’re rated in social media. And that can create all sorts of potential anxieties. And we even see that today in the context of these social networks. For example, when a person is unfriended or blocked, it can really have a certain implication for someone who might really rely on that kind of communication for feedback or validation. So it’s potentially tricky there in terms of trivializing and reducing our relationships to points and rewards and challenges. MANOUSH ZOMORODI: I mean, I had read some research that said that teens were waking up in the morning and going through and sending Streaks to all of their friends. And it wasn’t so much about communicating with them. It was more like, don’t drop the consistency. Get the badge. Get the points on Snapchat. But how do we teach them that that’s not necessarily what friendship is about? MARGARET WALLACE: Yeah, because that social pressure can feel real. If you’re on a Snap Streak that’s seven days long, you don’t want to be the potential “loser,” quote unquote, who ends that Streak. And I really think it’s a matter of, I would say, social media literacy, social network literacy. It’s something that I think we’ve all seen increasingly in our world, how important it is to really educate people to put social networks in the proper context of their world and their daily lives. MANOUSH ZOMORODI: Are we seeing a lot of other types of communication using this sort of gameplay element? I mean, I think this might be one of the reasons why Snapchat’s IPO was so high because they knew that users were coming back, from what I understand, on average 18 times a day to Snapchat. MARGARET WALLACE: That’s remarkable. Snapchat has done such a great job of including these kinds of features and even things like surprises and random things that just pop up, which in the game industry we call Easter eggs. And so we’re seeing this in a lot of these networks. Everything ranging from Twitter to LinkedIn to Fitbit to OkCupid, there are some kinds of elements in each of these services that touch on what we may call gamification, what they may call just good user experience design. MANOUSH ZOMORODI: Margaret Wallace is CEO of Playmatics, a game development company based in Brooklyn and San Francisco. Thank you so much, Margaret. MARGARET WALLACE: Thank you. Have a great day.